A first novel, Falling Upwards is a tale of obsession both darkly comic and quirky: two years after her husband abandons her for another woman, Sophie Luce is descending into depression, her drinking increasingly out of control. Her teenage son has left for university and, apart from Anya, her eccentric Polish lodger, she lives alone in a rambling house in Crouch End, north London, struggling to cope. The upstairs boiler breaks down and Sophie's quest for a solution catapults her into an unexpected and bizarre chain of events, macabre and dramatic, that change her life for ever . 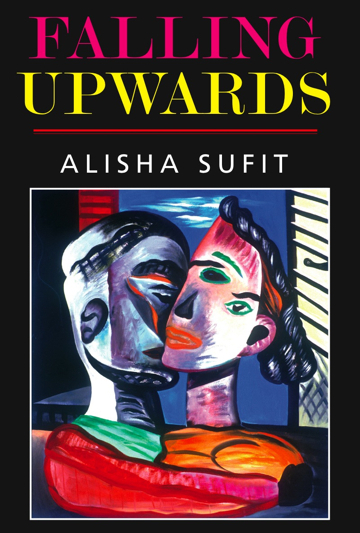 . .
Alisha Sufit was the singer-songwriter with the band Magic Carpet, whose eponymous first album was originally released in 1972 on the Mushroom (UK) label. It was later reissued on the Magic Carpet Records label. 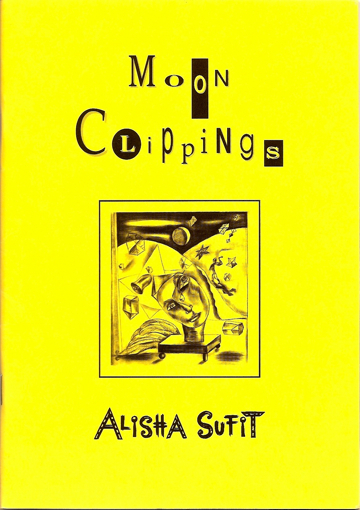 She has released three other albums on the Magic Carpet Records label: Love And The Maiden, Alisha Through The Looking-Glass and Once Moor, plus she is the author of a short collection of poetry entitled Moon Clippings (ISBN 1902217004 see below). She lives in London, UK, and continues to write, draw, paint, and make music.